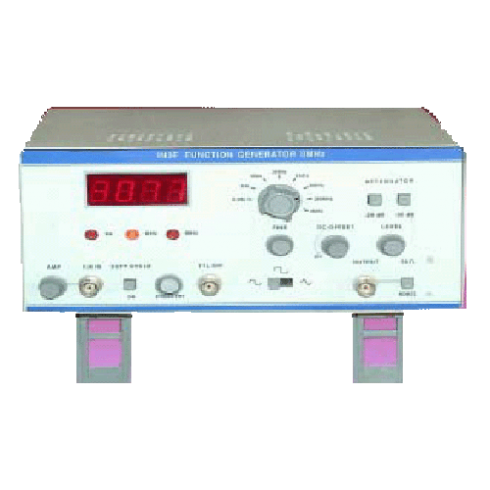 generators of this price range are voltage control and a separate pulse output suitable for synchronization or driving TTL logic circuits.The instrument is designed using easily available components resulting in ease of serviceability. Greater emphasis has been put on ruggedness & reliability with the use of single pcb for complete circuit. The lower frequencies are of special interest to servo manufacturers. 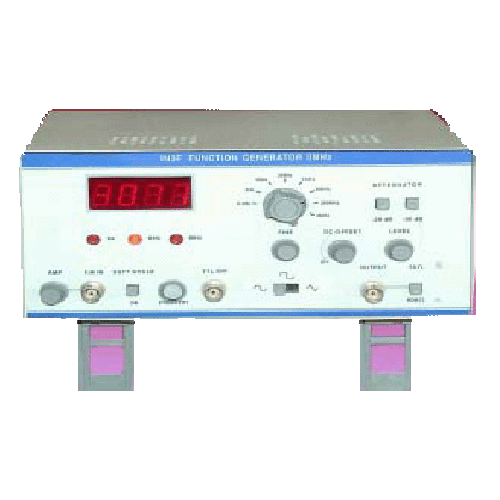 Offers sine, square, triangle functions upto 2MHz. Frequency Range : 0.02Hz – 2MHz. in decadic steps variable control between steps. Waveforms : Six type of waveforms. Functions : Sine, square, Triangle,Ramp, Pulse & TTL pulse output. Freq : Digital (4 digit 7 segment display). Accuracy Freq Amplitude : better than + 1% + 1digit. DC Offset(switchable) : Upto + 5V + 5%into open circuit. + 2.5V + 5% into into 50 ohm. a) Distortion : < 1.5% typical. a) Rise time : < 75nsec approx. Sweep : Int / ext. c) Accessories : Instruction Manual. d) Test Leads : 1x BNC to Crocodile.